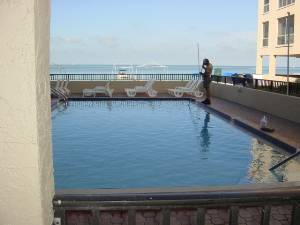 This is a newly renovated spacious 2 bedroom 2 bath gulf side second floor condo. 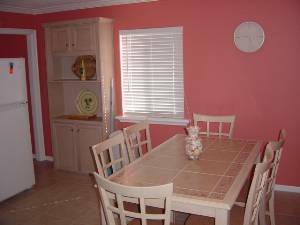 There is a fully equipped modern kitchen with a table that seats six and a breakfast bar. All appliances incuding the dishwasher are new. The master suite has a king-size bed and a full bath with a shower. 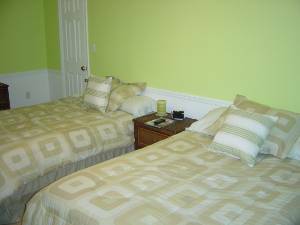 A second bedroom has two full-size beds with all new bedding. The second bath has a large jacuzzi tub and shower enclosure. Living room has a hide-a-bed and is open to the kitchen so the cook does not miss out on any of the fun. Both bedrooms and the living room have cable TV. The utility room has a washer/dryer and a full sink. The first floor is covered parking and my condo includes one parking space. There is elevator access to the second floor. Walk down one flight of stairs to a private heated pool overlooking the white sand beach. 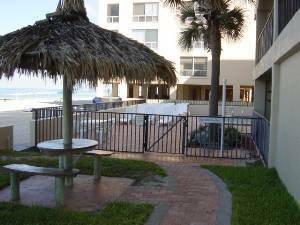 Enjoy sunsets from the picnic area with tiki huts surrounding the pool. Bring your cooler! 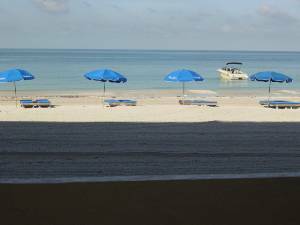 Alcohol is allowed on Madeira Beach. For a small fee chaise lounges with umbrellas can be rented. What a nice condo, my family stayed in for a week. 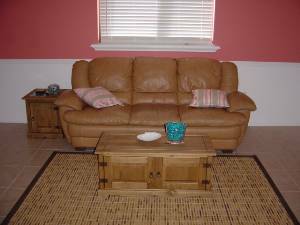 Very nicely furnished and decorated. 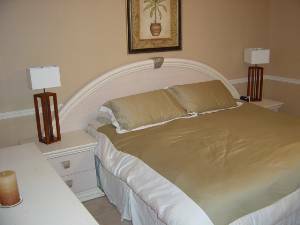 The unit was very clean and the beds were firm and comfortable. I wish I could take this unit to all the other beaches I plan on visiting. Thank you Steve for letting us stay there. What a beautiful Condo! 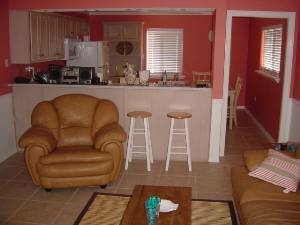 The condo is very well decorated and very spacious. However, we found that the internet description is decieving. Beware, this specific condo faces the street, Not the beach. There is no balcony or patio to drink your morning coffee on. You are looking out onto a parking lot. Do not rent this if you are looking for a picture perfect sunset, because you will not see it. We stayed at LasBrisas this past winter. Talk about on the beach!! The pool was great and so were the sunsets. Close to everything!! The accomadations were great, tons of room, master suite is seperated by the kitchen and dinning area. Great beach for kids of all ages. Cancellations and Refunds: $250 Security Deposit is required and will be refunded upon departure or cancellations more than 90 days prior to scheduled arrival. Full payment due 30 days prior to arrival.